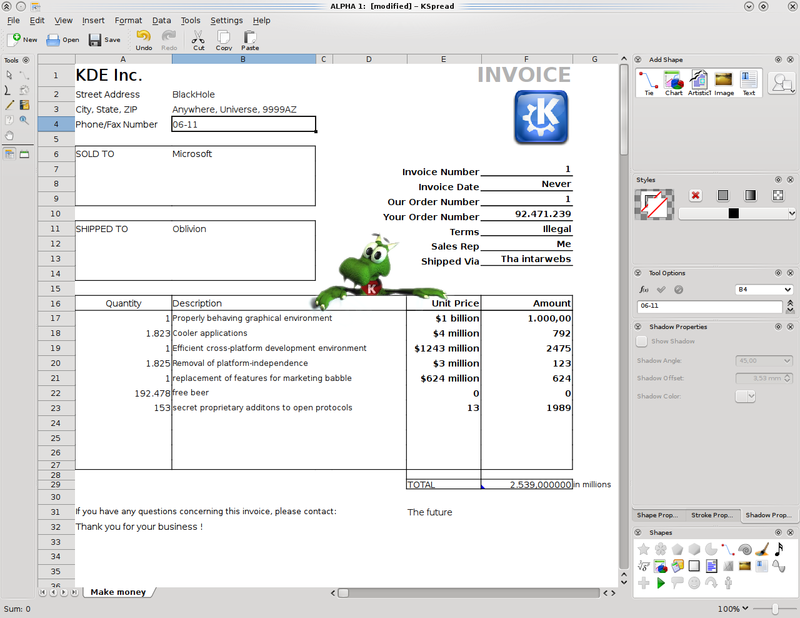 The KOffice team is very happy to announce the arrival of KOffice 2.2.0, half a year after version 2.1 was released. This release brings an unprecedented number of new features and bugfixes as can be seen in the full list of changes. Read on for a summary of the highlights. 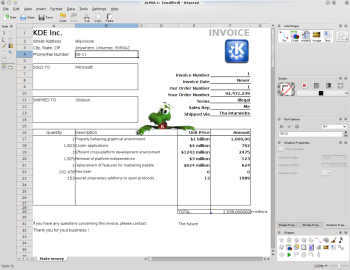 The KOffice team is happy to announce the first beta of the upcoming 2.2 release of KOffice. 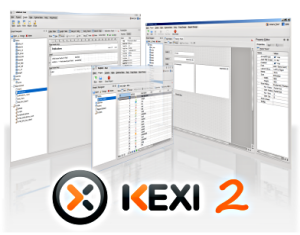 This release brings back Kexi, the data management application similar to MS Access. The new beta also offers many new features and improvements, for example improved support for Microsoft file formats with the addition of import filters for MS OOXML, and bug fixes. 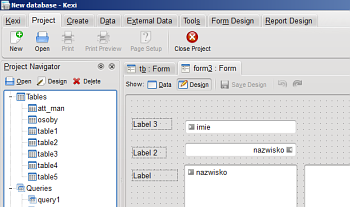 Today Nokia employee Thomas Zander announced in his blog that Nokia will be using KOffice as a base for the office file viewer in Maemo 5. He also sent an email to the KOffice mailing list giving some more details about how this came to be. "This shows that KOffice has one of the best technical foundations", says Jan Hambrecht, one of the core developers of KOffice. "It is both lightweight, flexible and very fast, which makes it perfect in embedded environments like a smart phone". 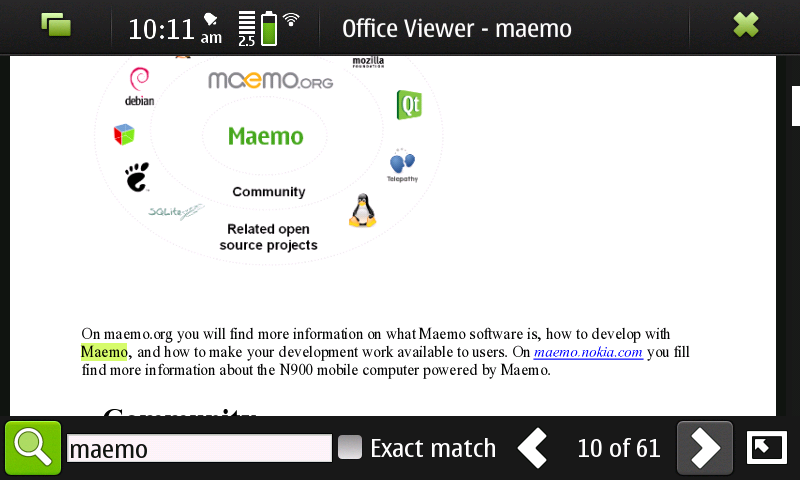 Nokia has created a customized GUI based on the Maemo 5 touch screen interface on top of the KOffice core. 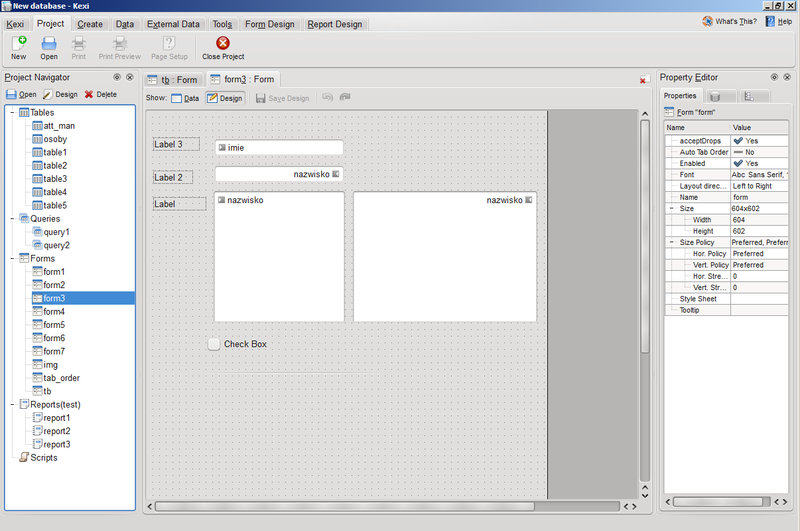 It has also worked on making the support for MS Office documents more mature. Thomas Zander of Qt Development Framework and KO GmbH worked on fixing bugs and enhancing support for MS Office formats. The first presentation of this work will be at the Maemo Summit in Amsterdam from October 9th to 11th. The KOffice team today announced the second beta of the upcoming 2.1 release. The KOffice community has now switched from adding new features to only fix the remaining bugs, and that is obvious from this release. The first beta of 2.1 was released without any fanfares, but it marked the transition into the bugfixing stage. We now think it's time to let the users start to participate in the process. You can see the progress in the full changelog. Last weekend — it seems like yesterday and like a year ago at the same time — the KOffice team came to Berlin for the first post 2.0 sprint. Graciously hosted by KDAB and smoothly organized by Alexandra Leisse, this sprint was one of the most productive sprints ever for KOffice. Not only because there were many developers attending, among them three out of four of our KOffice Summer of Code students, but also because everyone was filled to the brim with joy and relief about having release 2.0 and eager to forge forwards to 2.1. This is the first release -- we call it a "Platform Release" -- of a long series, much like KDE 4.0 laid the groundwork for what is now a fully mature desktop environment. The developers have so far concentrated on creating a flexible and powerful foundation that we can build on for a long time.